The multi award-winning sitcom Citizen Khan is being filmed in front of a studio audience at dock10 with post production at its onsite facility. 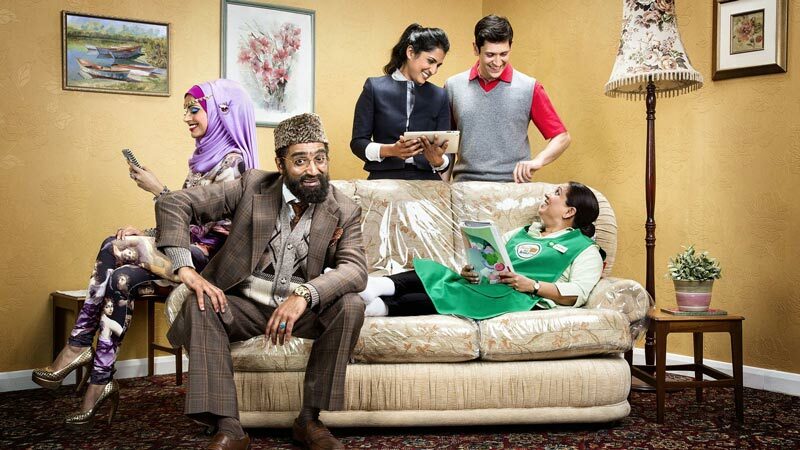 With some of the audience reverentially wearing fake Khan beards, the series follows the trials and tribulations of self-appointed Muslim community leader Mr Khan and his long suffering family. The comedy has won a raft of awards including Best Sitcom and Best comic performance from the Royal Television Society North. Khan is a larger-than-life character, a small man with big dreams and strident opinions. Like many of us, he's struggling to make ends meet - but he's proud of his thriftiness - witness his 1979 suit and ancient yellow Mercedes. Things would be so much easier if everyone just listened to him and followed his lead, but his obsessively house-proud wife and two feisty daughters have other ideas.